Entry point to UEFI Application. The return value from ProcessModuleEntryPointList() is returned. @param  ImageHandle                The image handle of the UEFI Application. @param  SystemTable                A pointer to the EFI System Table. @retval  EFI_SUCCESS               The UEFI Application exited normally. @retval  EFI_INCOMPATIBLE_VERSION  _gUefiDriverRevision is greater than SystemTable->Hdr.Revision. @retval  Other                     Return value from ProcessModuleEntryPointList(). // Make sure that the EFI/UEFI spec revision of the platform is >= EFI/UEFI spec revision of the application. 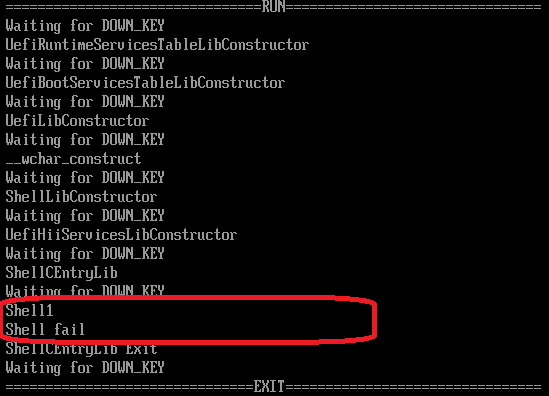 // Call constructor for all libraries. 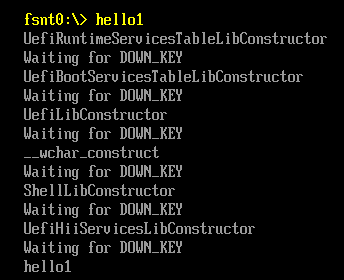 // Process destructor for all libraries. function as prototyped in Include/Library/ShellCEntryLib.h. 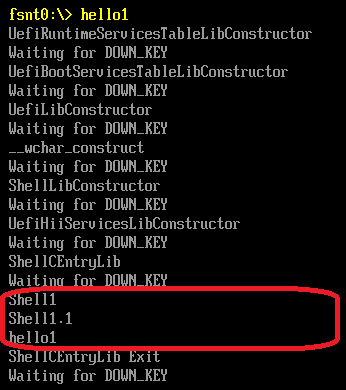 it needs to return one of the SHELL_STATUS values defined in ShellBase.h. @param  ImageHandle  The image handle of the UEFI Application. @param  SystemTable  A pointer to the EFI System Table. 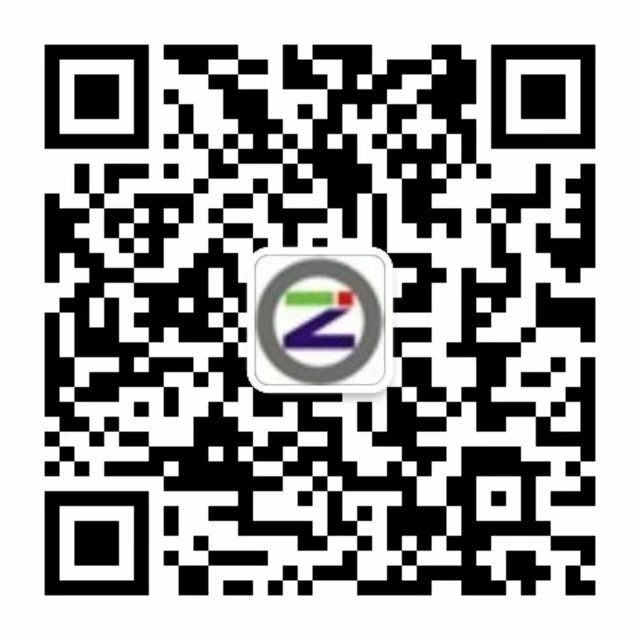 @retval  EFI_SUCCESS               The application exited normally. @retval  Other                     An error occurred. // try to get shell 1.0 interface instead.